NEVER DATE YOUR FAKE BOYFRIEND'S BROTHER. TRUST ME. Bella French is a high school junior with sky-high grades and a non-existent social calendar. 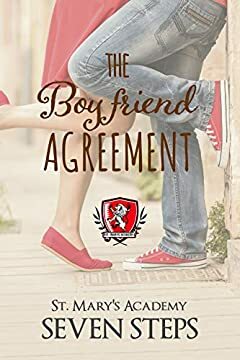 So, when Jake Winstead, the most gorgeous, wealthy, and popular guy in school asks her to be his fake girlfriend, she makes a bold choice. She says, yes. Now this wallflower is going from invisible to trending. There's just one problem. Jake's very real twin brother, and Bella's arch nemesis, Cole Winstead. After two years of being at each other's throats, Bella and Cole are paired up on a school project. Bella is determined to stay focused on completing the assignment but it's hard when sparks are flying, and a boy she's grown to hate starts to change his ways. Stuck between two brothers, what will Bella do? Stay with Jake and ride the wave of popularity or give a beastly boy a second chance? St. Mary's Academy is a young adult contemporary romance series that brings classic fairytale characters to life in a modern day, high school setting. It's filled with angsty heroines, hot heroes, and drama galore.